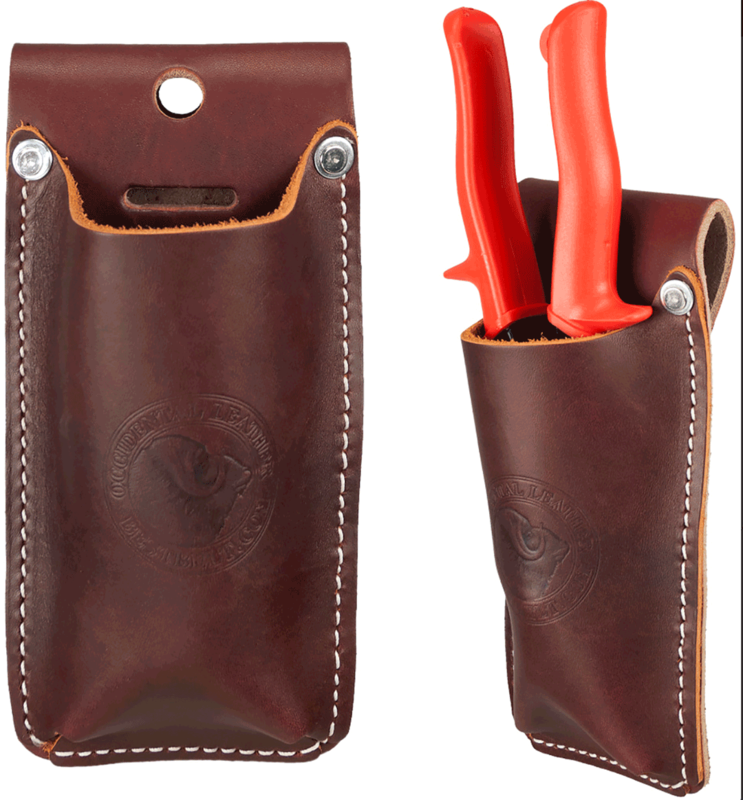 An all leather holder designed originally for steel framing. Holds Wiss M6 and M7 Wiss offset metal snips and similar models. Accommodates up to 3" wide belts as well as our 2003 Oxy™ Tool Shield.